The current global financial crisis has raised hundreds of new questions. How to better identify and, in particular, how to better manage risks are two very important questions that have once again come to the forefront. Risk management is becoming an increasingly complex necessity for investors and for all financial professionals. The objective of the workshop is to introduce participants to risk in general and to different types of risks. It will provide a brief overview of financial risk management practices and the role of risk management. 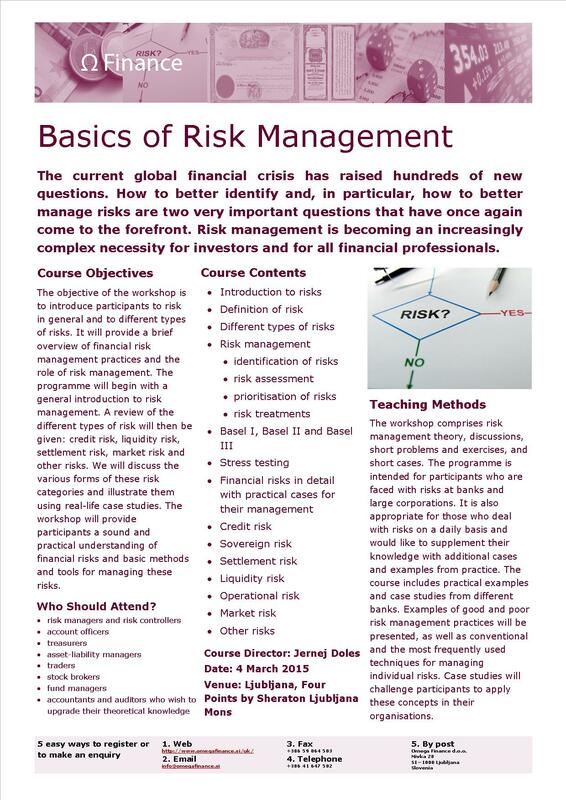 The programme will begin with a general introduction to risk management. We will discuss an institution's risk appetite and different risk profiles. A review of the different types of risk will then be given: credit risk, liquidity risk, settlement risk, market risk and other risks. We will discuss the various forms of these risk categories and illustrate them using real-life case studies. The workshop will provide participants a sound and practical understanding of financial risks and basic methods and tools for managing these risks. The workshop comprises risk management theory, discussions, short problems and exercises, and short cases. The programme is intended for participants who are faced with risks at banks and large corporations. It is also appropriate for those who deal with risks on a daily basis and would like to supplement their knowledge with additional cases and examples from practice. The course includes practical examples and case studies from different banks. 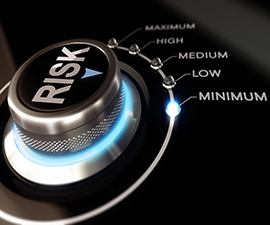 Examples of good and poor risk management practices will be presented, as well as conventional and the most frequently used techniques for managing individual risks. Case studies will challenge participants to apply these concepts in their organisations.